Product prices and availability are accurate as of 2019-04-20 14:45:34 BST and are subject to change. Any price and availability information displayed on http://www.amazon.co.uk/ at the time of purchase will apply to the purchase of this product. 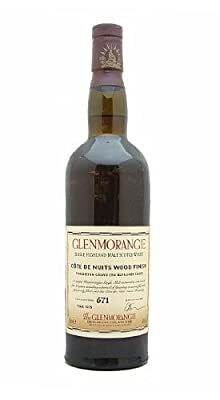 A rare edition of Glenmoarngie Cotes de Nuits Wood finish. Matured for 25 years in oak barrels including a period matured in second fill casks previously filled with Cote de Nuits rarest Burgundy.